who knows that every project has its goal. Even yours. I am helping to grow either businesses and individuals. I will create software and web applications that help you to succeed. I will share with you my experience, insight, analytic thinking as well as awareness about the news on the market. I will suggest a suitable method for effective interconnection of applications and information systems. Internal web application of Grant Thornton Advisory s.r.o. company which is used to keep customer records, orders, employees and related agenda. The application also provides management accounting and the reports serves the chief officers as one of the main bases for the management of the company. The application is developed in PHP and uses a MySQL database. Most of the available reports are generated as Microsoft Excel workbooks and Microsoft Word documents. Operation of the application itself on a server is provided as well. 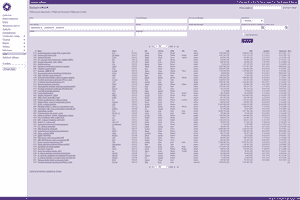 An application used by employees of the Grant Thornton Advisory s.r.o. company for planning time for individual contracts and the subsequent reporting of work spent on them. Generated reports provides the management an overview of available capacities and gives a feedback on the accuracy of the resource estimates. The application is created in C# for .NET 4.0 and utilizes a MySQL database. Most of the reports are generated as Microsoft Excel workbooks. At that time a modern information system, which was designed to meet the operational needs of a medical clinic. The information system consisted of several parts created in ASP.NET 2.0, WinForms 2.0, it was using web services, AJAXu as well as a MS SQL database. A database application designed for a dealer of dishes. The application provides a complete record of customers’ contacts, including history of mutual communication. The application is created in Microsoft Access. The dormitory web site serves both to those interested in college, so to the accommodated students. They provide information about departures of the local public transport, important news and tutorials on setting up an internet connection using the dormitory network. The site is running in PHP. Pages had been taken over the prior administrators and significantly innovated. They are currently administered by a follower. A web applications created for the České Radiokomunikace a.s. company, the leader on the television and radio broadcasting market. The aim of the application is to keep records of both the potential and current business transactions and provide reports that helps chief officers in informed strategic decision-making. The application provides support for marketing activities, such as inviting customers in marketing promotions, Christmas gifts and newsletters. The application is developed in PHP and uses a MySQL database. 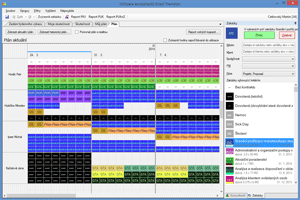 Most of the reports are generated as Microsoft Excel workbooks. Preparation of scenarios and data for acceptance testing of an application developed by a third party for Fond pojištění vkladů (Deposit Insurance Fund). The created tests are used to evaluate the application behavior in edge cases as well when processing enormous result sets. Part of the project was evaluating the available documentation and finding possible failure cases. The test generator is written in C# for .NET 4.0. A fully automated application used to generate and distribute personal performance reports of individual employees of the Grant Thornton Advisory s.r.o. company. These reports are one of the cornerstones of the company’s motivation system. The application is written in C# for .NET 4.5, loads data from MySQL and uses LINQ to aggregate them. The reports are generated as Microsoft Excel workbooks. I appreciate Martin's creativity, his ability to look for suitable and innovative solutions and his emphasis on meeting the deadlines. 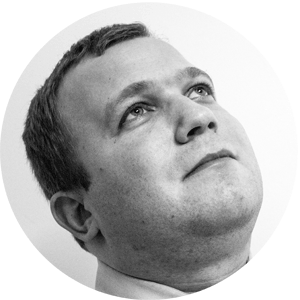 Martin is not "just" a developer, he is an analyst and consultant as well. He is always available and flexible within both the operation and supporting of the applications and fulfils all the individual tasks according to the agreed parameters. I also engage in other technologies, such as PHP. For detailed information, please check my Curriculum Vitae. I am looking forward to our successful collaboration.